In today’s healthcare data environment, humans have been turned into robots. The lack of connected systems in the healthcare world forces people to perform robotic tasks, like transferring data between systems that don’t talk to each other. At the Future of Work Expo, part of The New Intelligence Expo in Fort Lauderdale yesterday, Sean Lane from digital-automation firm Olive spoke about teaching robots to perform those basic administrative functions with which humans are now tasked. Healthcare organizations should establish a digital workforce that can communicate among themselves, Lane says. Creating a digital workforce “will allow humans to pull away from the computer, and begin interacting with humans again,” he says. From an AI perspective, healthcare organizations’ “biggest problem is sharing information across platforms,” Lane says. For instance, the copying and pasting that healthcare administrators do to update disparate systems can be readily accomplished by a properly programmed robot. Healthcare organizations, like other STEM-based businesses, already suffer from a lack of skilled employees. Adding a digital workforce to augment your operations frees up your human employees to accomplish “human tasks,” Lane says. Lane says you can hire a digital workforce right now to free your human employees to do human work. AI as a service, where you hire computers just like people, is booming. “It’s real and it going to be a big part of our life going forward,” he adds. He says that onboarding digital employees is similar to hiring humans. Determine the skill set you require, then choose the proper application to complete the task. Using AI, robots can learn to new skills that helps them perform tasks better over time, Lane says. Robotic process automation (RPA) is the buzzword going around now. 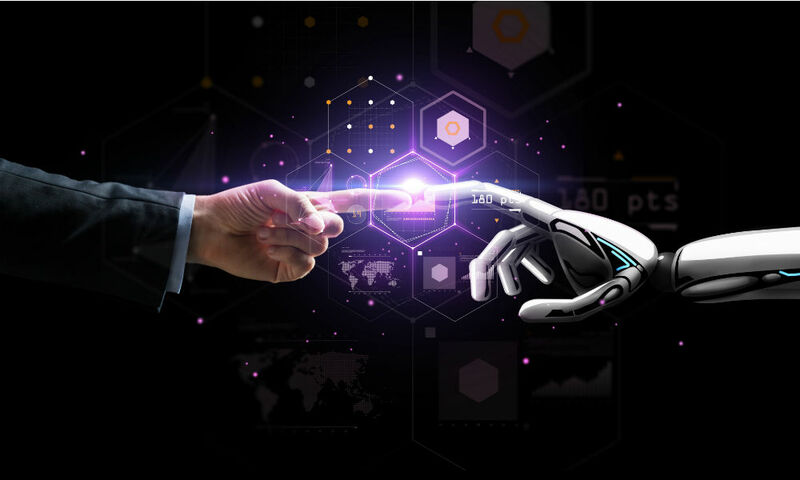 The first step toward incorporating RPA into your workforce is to develop a full understanding of your capabilities across all of your systems and networks, Lane says. The trick going forward will be to blend machine intelligence with human capabilities, he says. The goal is to incorporate historical human data into the digital employee, so the robot can ask as much like a human as possible. “We need to train neural networks to respond like a human being,” he concludes.